That's a cutesy and fabulous mixer you've got there! I'm quite obsessed with some cutesy and nice looking kitchen equipment as well. Well, you know, I'm quite a believer of good presentation and platting. That's why I especially designed my kitchen according to what will make me happy and be inspired whenever I cook something for my family. 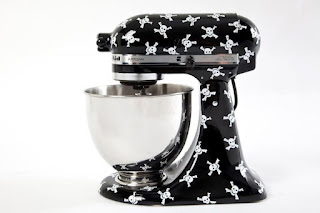 And yeah, I envy your mixer, I'll find something that will belong to me as well!